Stringent and upright, Hee Dining is the essence of a chair. 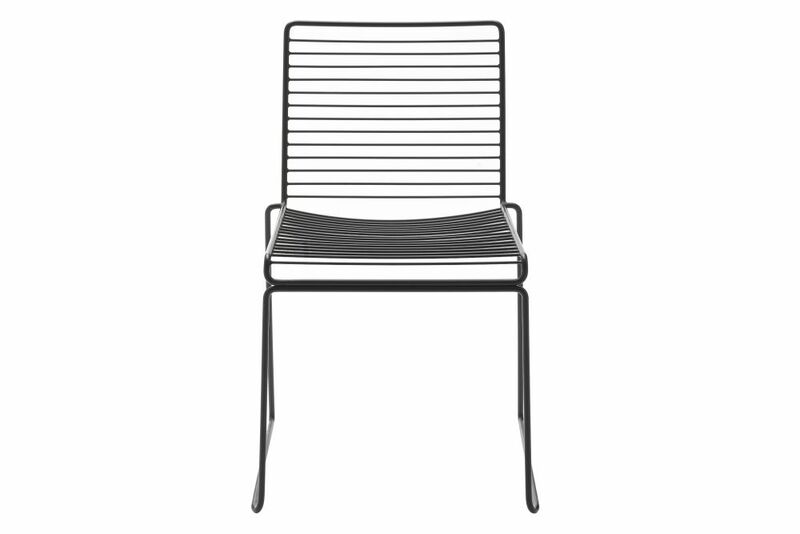 Hee Dining chair is a metal wire in galvanized solid steel which makes it rust-resistant and perfect for outdoor use. The chairs can be linked together in rows for conference use, and the new colour scheme keeps the Hee chairs updated.